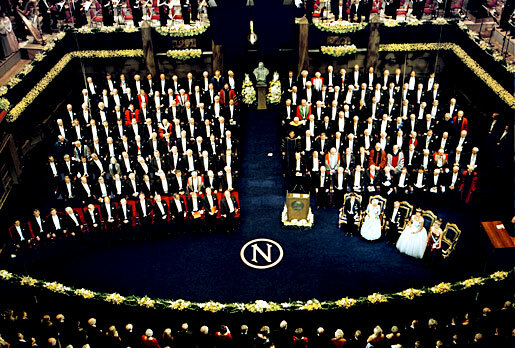 3 (of 12)	A bird's eye view of 2001 Nobel Prize Award Ceremony at the Stockholm Concert Hall. 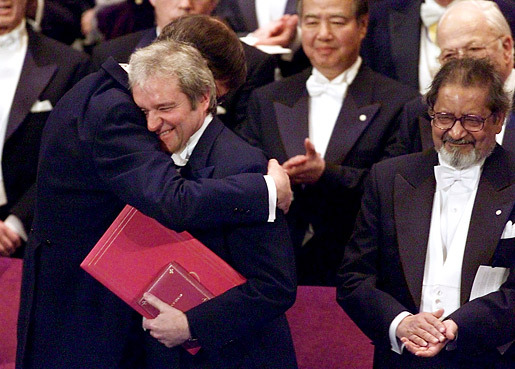 5 (of 12)	Sir Paul Nurse (center) gets a hug from Tim Hunt (left). 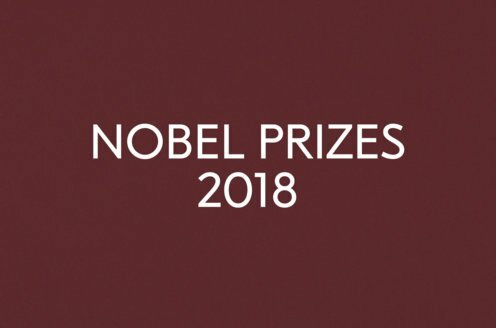 Both shared the 2001 Nobel Prize in Physiology or Medicine with Leland Hartwell. 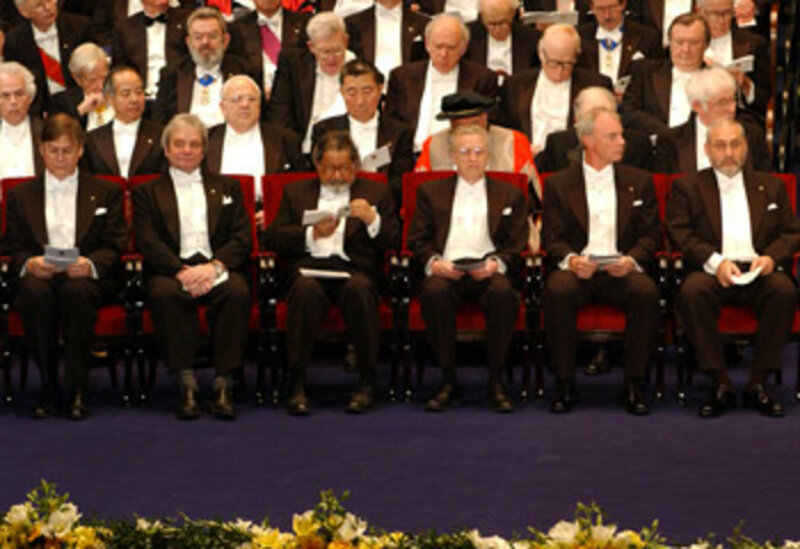 To the right is Nobel Laureate V. S. Naipaul. 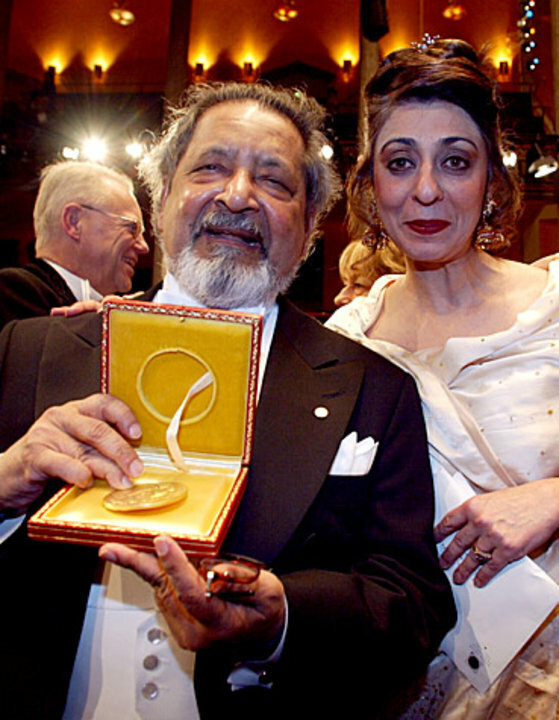 6 (of 12)	2001 Nobel Laureate in Literature, Sir V. S. Naipaul, displays his Nobel Prize Medal while Lady Naipaul beams with pride. 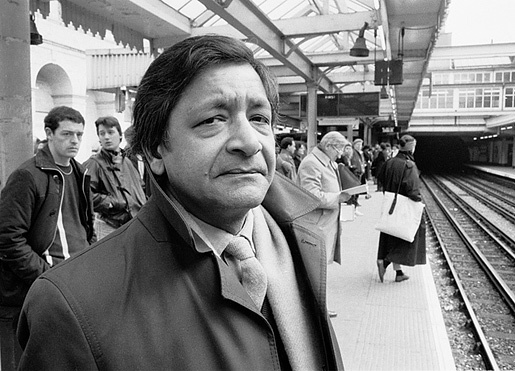 Naipaul, who is a British citizen, was born in Trinidad. 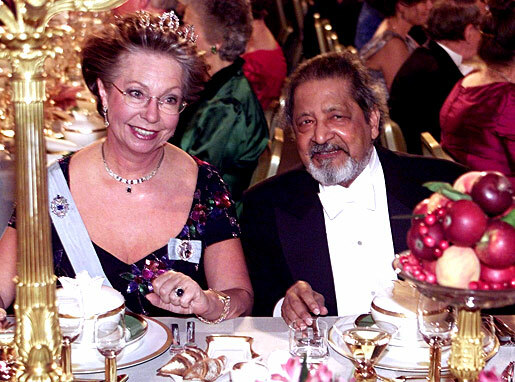 7 (of 12)	V. S. Naipaul and Swedish Princess Christina during the Nobel Banquet, 10 December 2001. 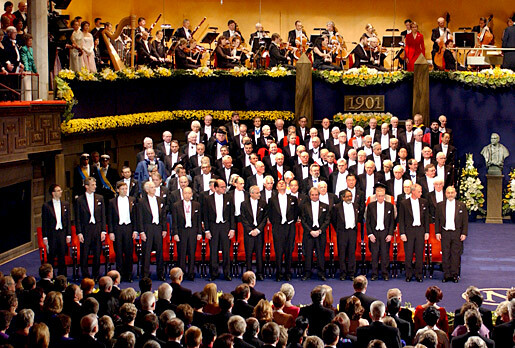 8 (of 12)	At the Prince's Gallery where the Royal Family held audience with the Nobel Laureates and other distinguished guests. 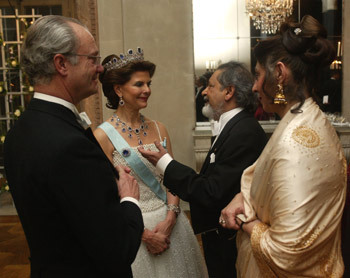 From left: King Carl XVI Gustaf of Sweden, Queen Silvia, 2001 Nobel Laureate in Literature V. S. Naipaul and Lady Naipaul. 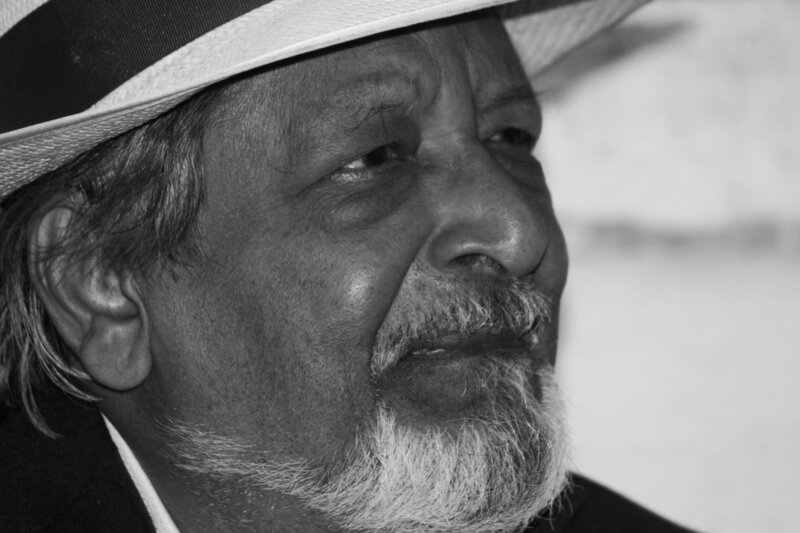 9 (of 12)	Portrait of V. S. Naipaul, taken during the International Literature Festival at the Basilica di Massenzio in the Foro Romano, Rome, Italy, 2008. 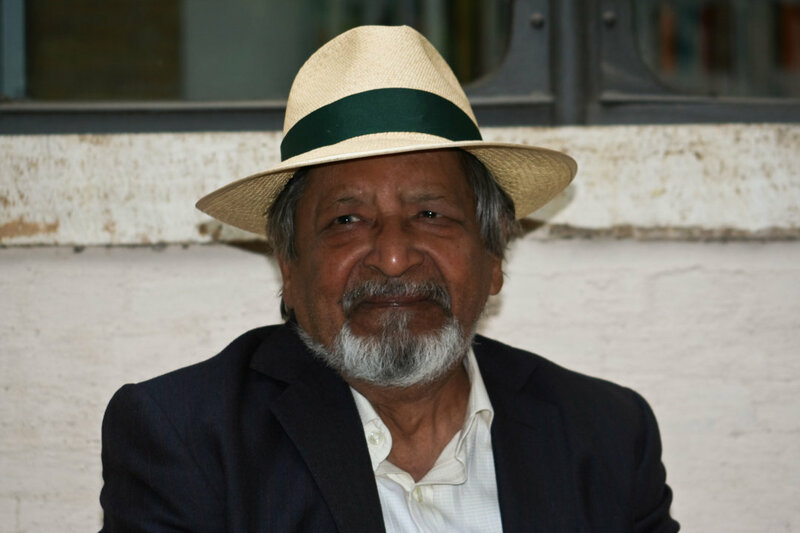 10 (of 12)	Portrait of V. S. Naipaul, taken during the International Literature Festival at the Basilica di Massenzio in the Foro Romano, Rome, Italy, 2008. 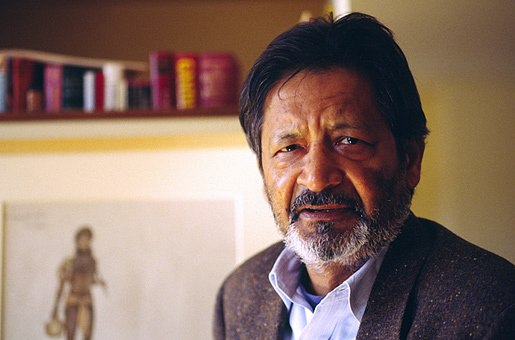 11 (of 12)	Portrait of V. S. Naipaul, April 1994. 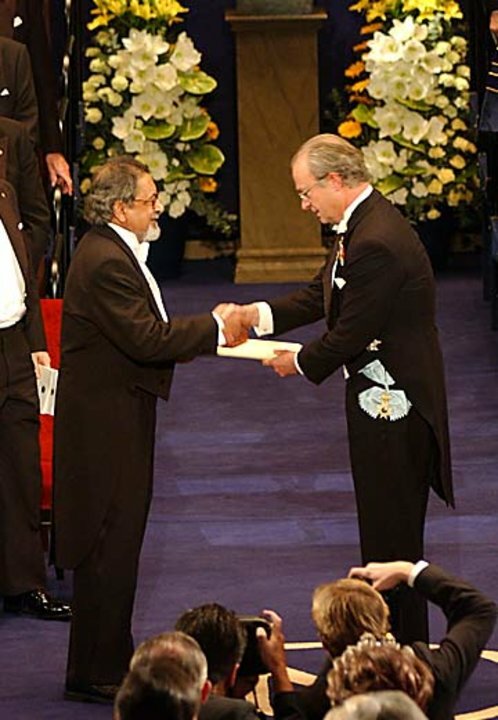 12 (of 12)	V. S. Naipaul. Photo taken in 1987.